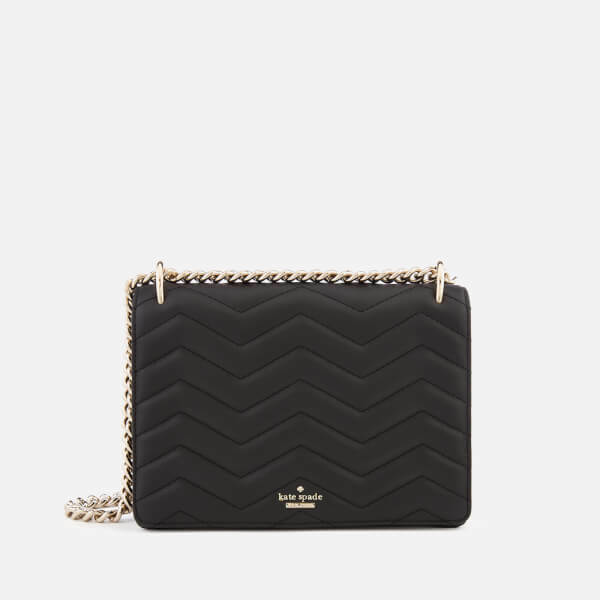 Sleek, compact, structured and crafted from smooth leather with zig-zag quilted detailing, the women’s ‘Reese Park Marci’ bag from Kate Spade New York features a fold-over flap secured with a push-lock clasp. 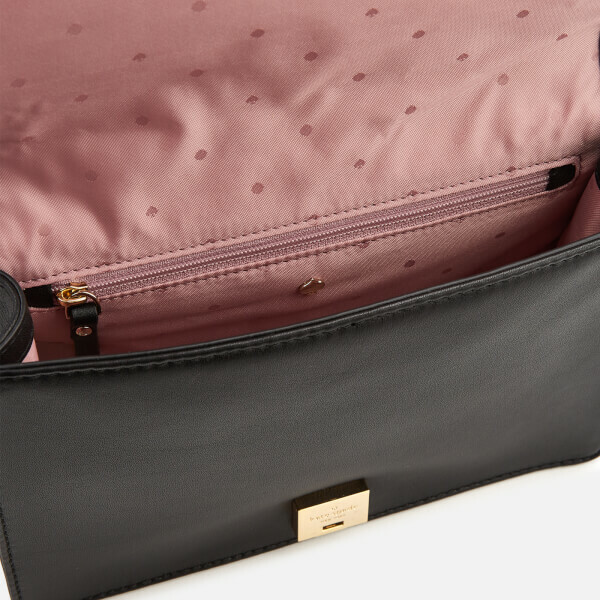 This lifts to reveal a pink fabric-lined interior and multiple pockets within. 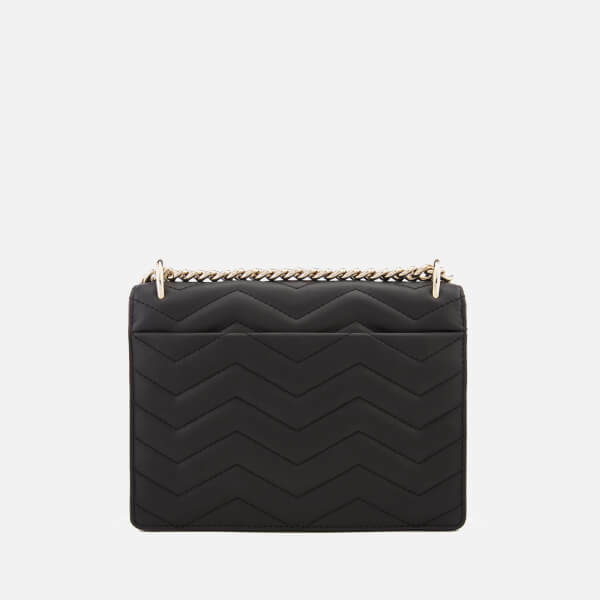 Suspended from a convertible chain-link strap that can be adjusted in length to form a shoulder or cross body bag, the accessory offers an external slip pocket to the reverse for additional storage space of essentials. Polished gold-tone hardware and appliqué branding at the front add the finishing touches. Dimensions: H: 17cm x W: 24cm x D: 6cm. 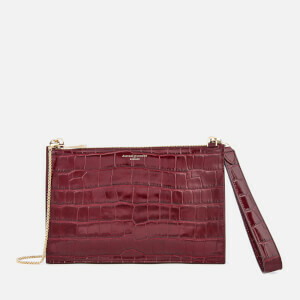 Strap Drop (max): 54cm. 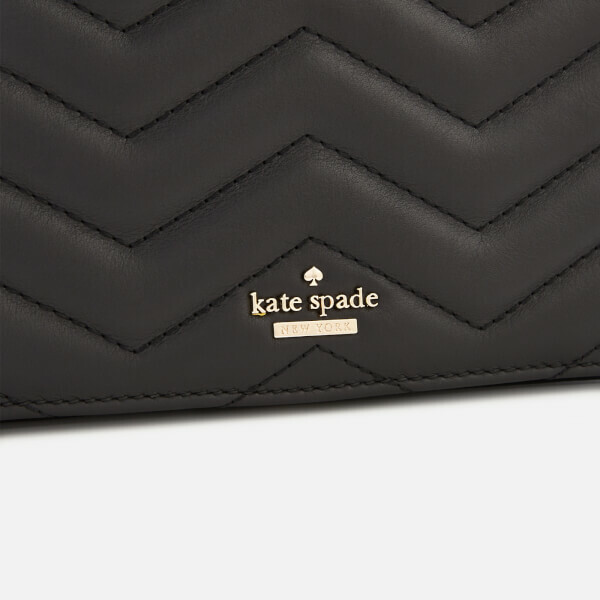 Beautiful bag of timeless design. A piece to keep and enjoy for many years to come. Fast international delivery too. Very happy with my purchase.